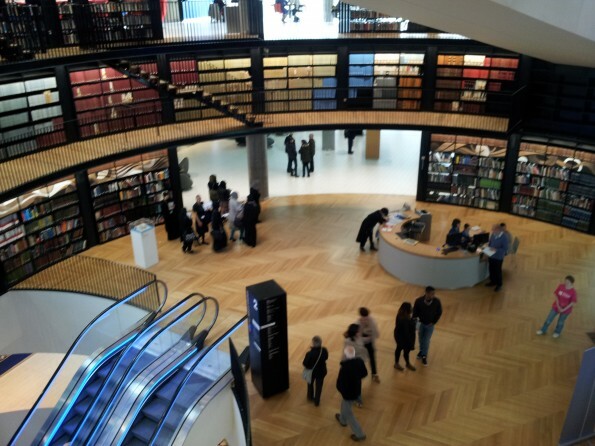 The new Library of Birmingham is an impressive building both from the outside and again when you get inside. I have been to the library 3 times since it opened in September making use of the much improved research facilities following the move from the old Central Library. The building is spacious, well lit, easy to get around and welcoming. There seems to be plenty going on for all age groups, with quieter areas for those studying, plus a number of meeting rooms which can be hired. On the 3rd level there is a outdoor roof garden primarily composed of a herb garden and you can get views across the city. Plenty of spaces to sit, can imagine this will be very popular on a warm summers day. I have yet to venture above the 4th floor, where there is a secret garden and the Shakespeare Memorial room, saving that for my next visit! The research facilities are excellent for both Family & Local History, with modern computerised microfilm/fiche readers, much better than the antique ones in the old library. Rather than print your document, there is the facility have a digital copy by downloading to a memory stick (bring your own! ), printing is still available via a queued printer. The Wolfson Centre for Archival Research, which unlike the old Reading Room at the Central Library as floor to ceiling glass windows with views across the city. There are plenty of tables for research use each with its own power supply, useful if you are using a laptop. I have found the staff here very happy to advise and explain what is available on the shelves within the room itself. A booking is essential to access the centre, there are plenty of lockers available, remember to bring a pound coin, which is refundable. As with any new venture there are teething problems but they don’t detract from the feel of the place. The library is open 7 days a week, however the archives are only open 6 days a week, Monday, Tuesday, Wednesday and Friday 10 am to 5 pm, Thursday 10 am to 8pm and Saturday 10 am to 4 pm. 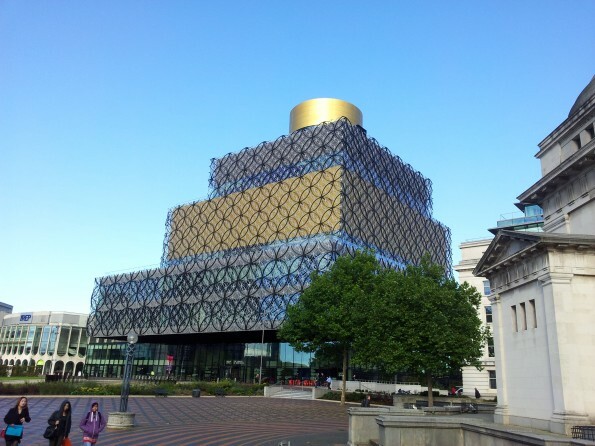 It is great to see a Midlands City leading the way on how a library should be and the Library of Birmingham should be a template for city libraries of the 21st Century.